A stone in church building gable records: 1876. Foundation stone in the hall records: Scotch Church - Sabbath School - erected 1896 - the gift of - Alexander Landale - of Wandook Station. 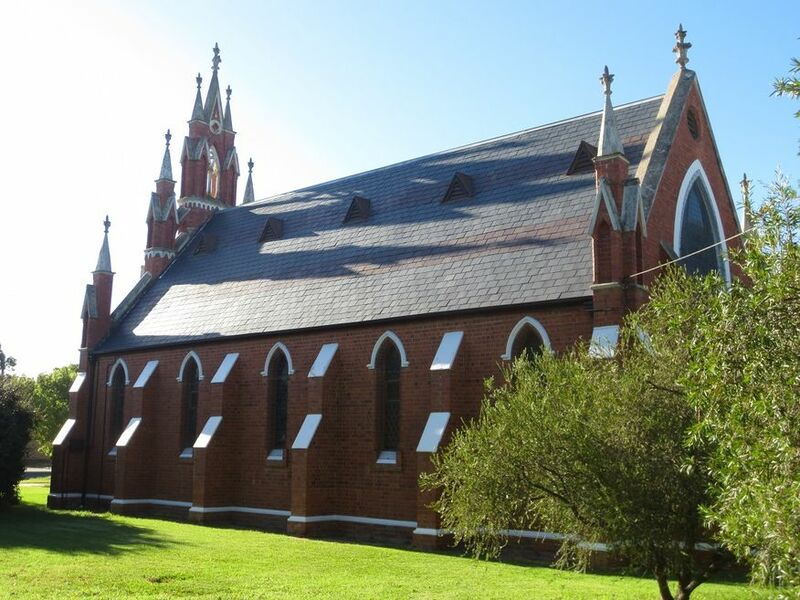 A stone tablet on the hall records: To the - Glory of God - this building - was opened and dedicated - on the 29th June, 1963 - by the Moderator-General - of Australia - the Rt Rev Hector Harrison - OBE MA BD. 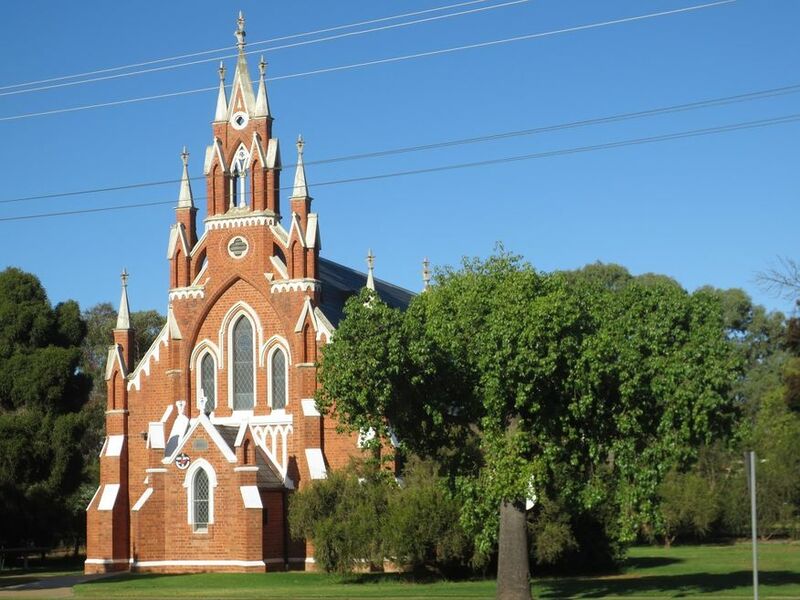 No other details are known about the Deniliquin Uniting Church. 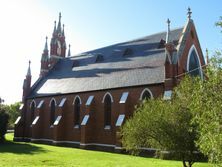 More historical information/photographs of the church/congregation are invited. Photographs uploaded 24/4/2018.